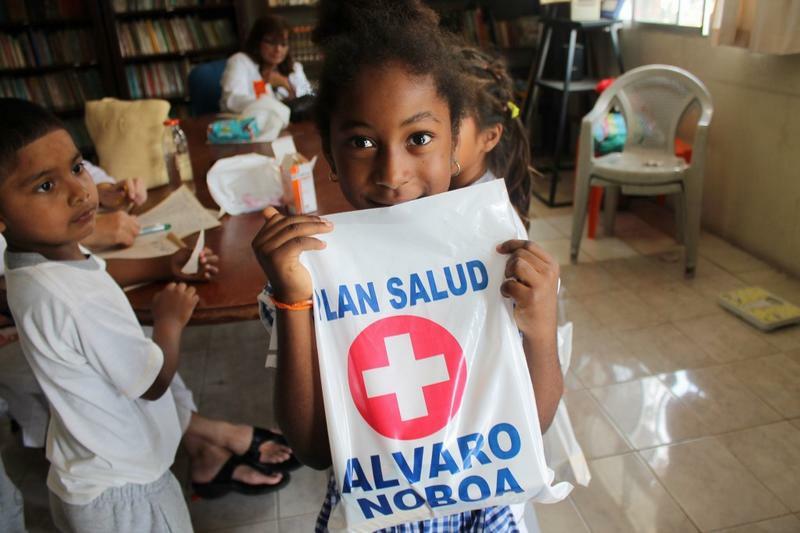 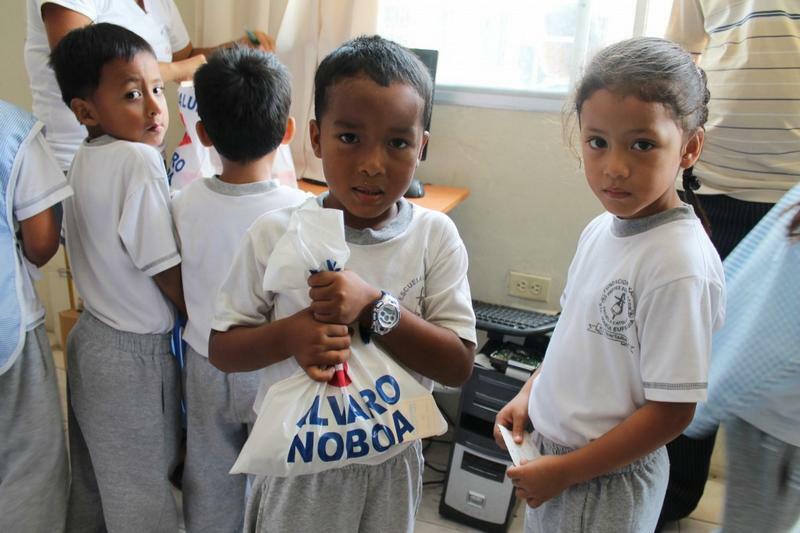 This morning, the Foundation Cruzada Nueva Humanidad (FCNH), established and led by Alvaro Noboa, took its humanitarian mission to the Santa Maria Eufrasia public school, where it was provided medical care to 125 students of the first grade. 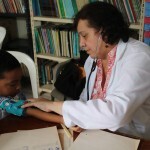 Dr. Jenny Arteaga checked the blood pressure of the little ones, with an age range of 4 to 6. 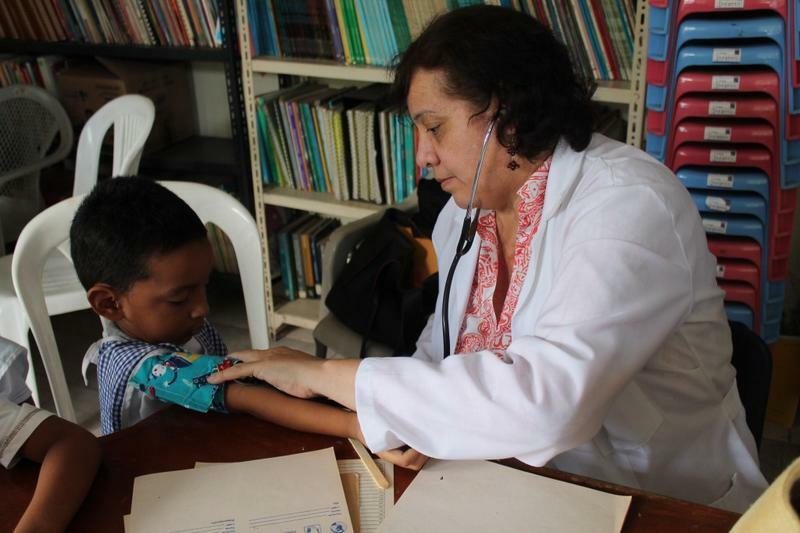 According to the doctor, the children should have a blood pressure of 80/40, but some reaches 110, meaning, a high blood pressure condition. 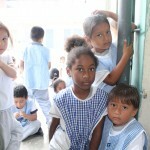 “I recommend that the children be tested to reach a solution to counteract these results. 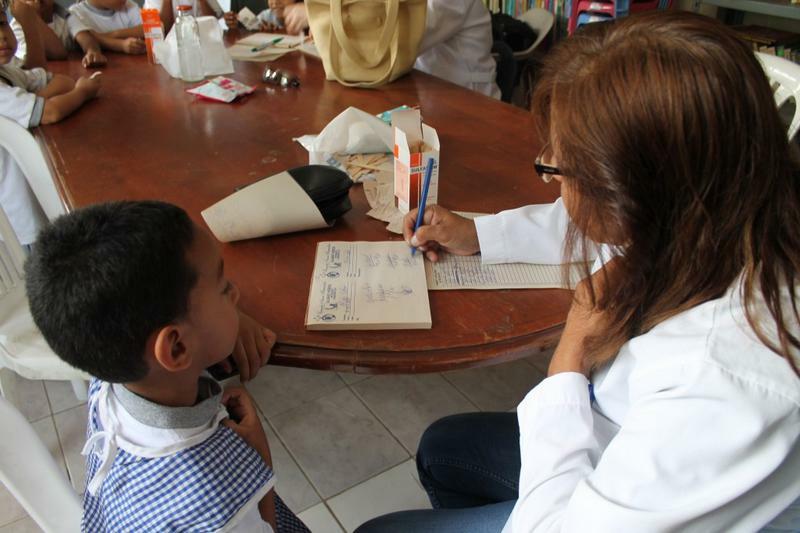 After the check-up, the kids were weighed and measured with the help of their teacher, Glenda Lema, and then they were examined by Dr. Virginia Clavijo, who said that most of the children suffer from tonsillitis, bronchial asthma and parasite infections. 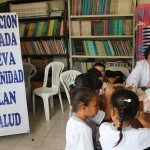 Finally, Dr. Clavijo wrote the respective prescriptions and the teacher, Glenda Lema, managed the delivery of the free medicine to each examined student. 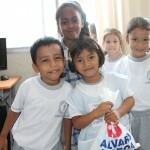 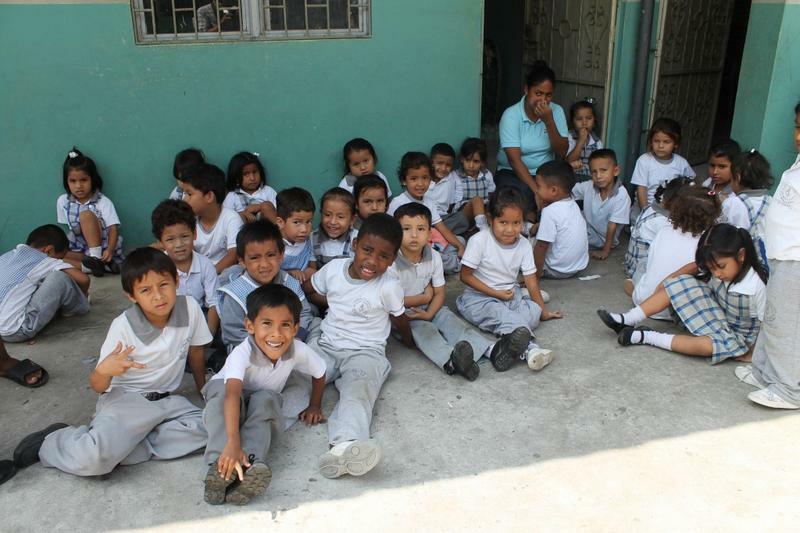 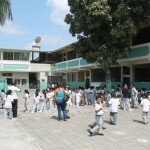 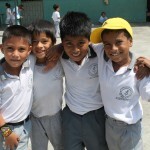 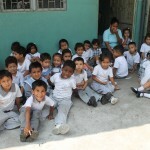 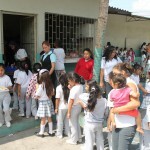 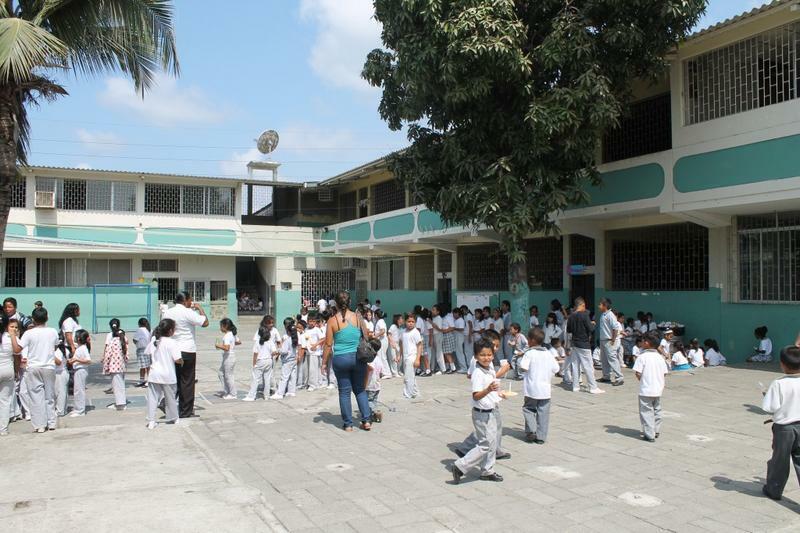 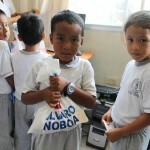 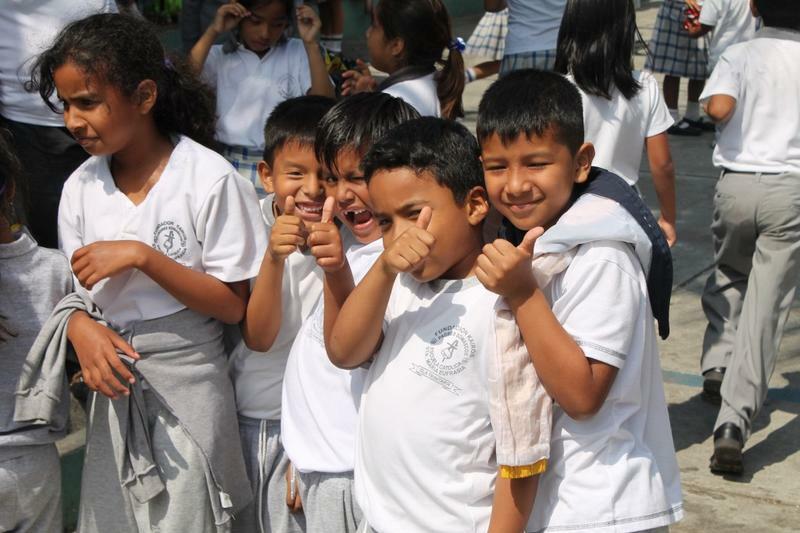 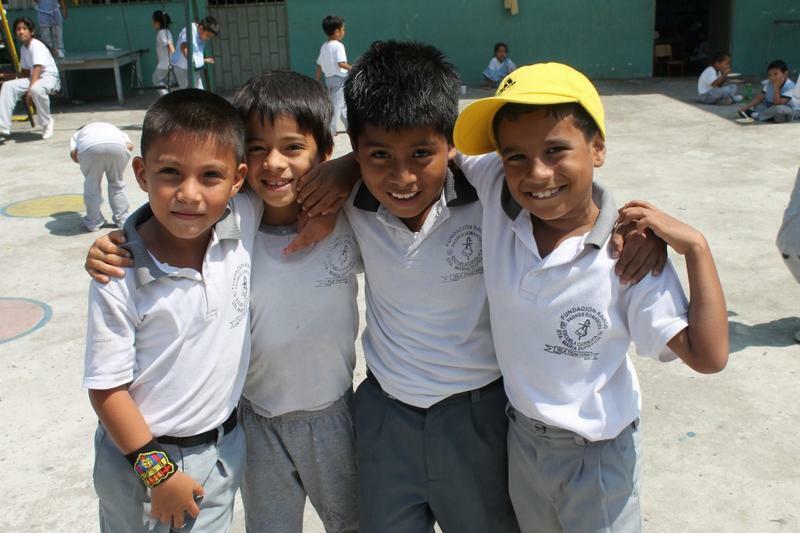 Cruzada Nueva Humanidad Foundation visited the Santa María Eufrasia school at the Trinitaria Island, Guayaquil. 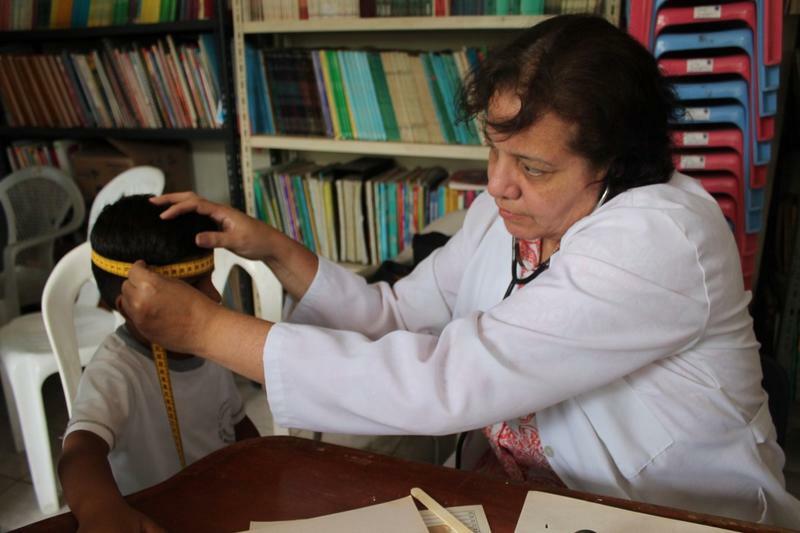 Dr. Jenny Arteaga took blood pressure from students and also measured their heads. 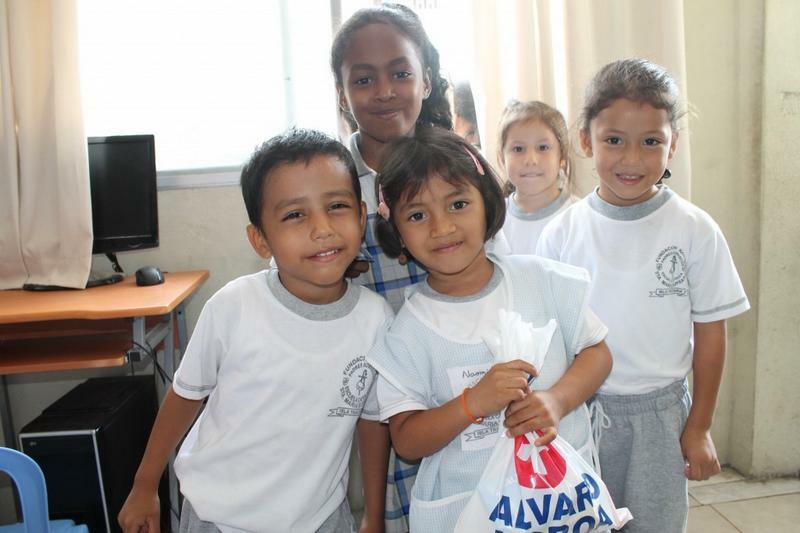 Dr. Virginia Clavijo carried out check ups on every student from first grade. 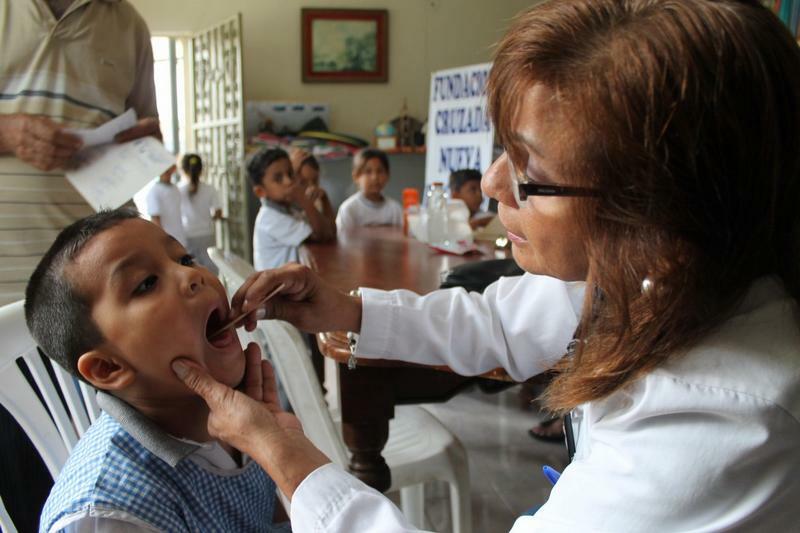 Dr. Jenny Arteaga measuring a little girl’s head to see if it is growing properly. 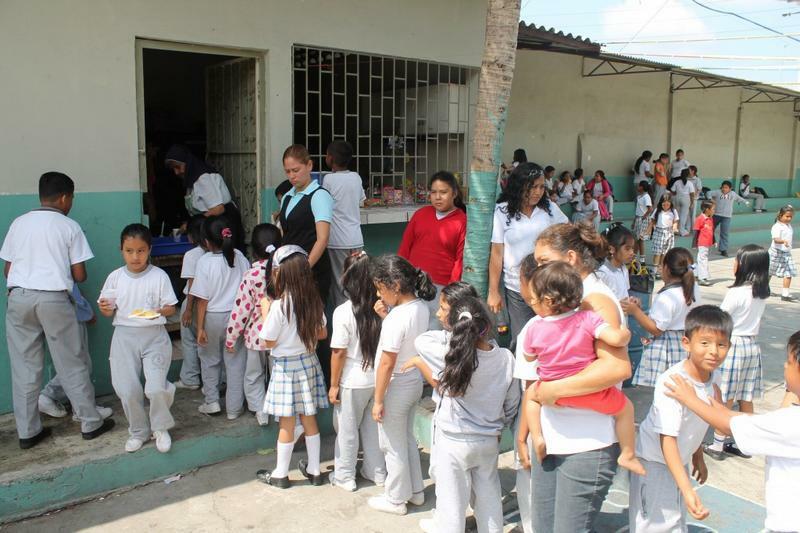 The little kids were waiting for their turn. 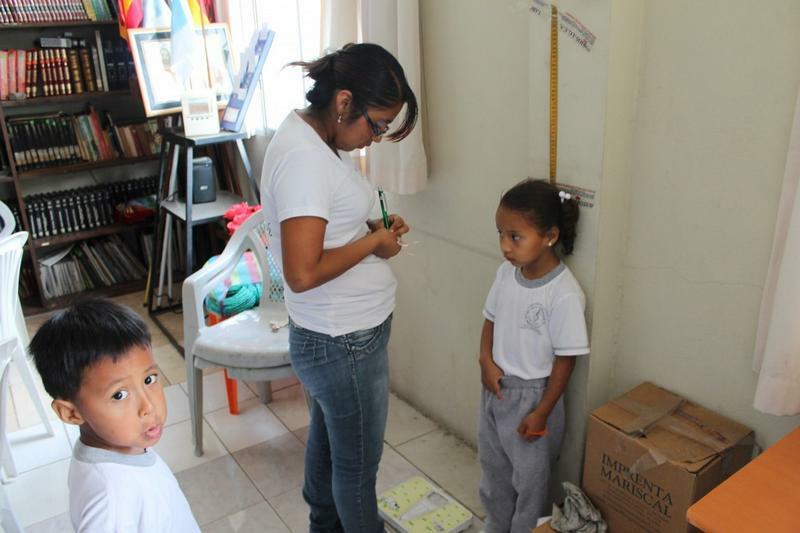 Miss Glenda Lema helped measuring and weighing the students before the check ups. 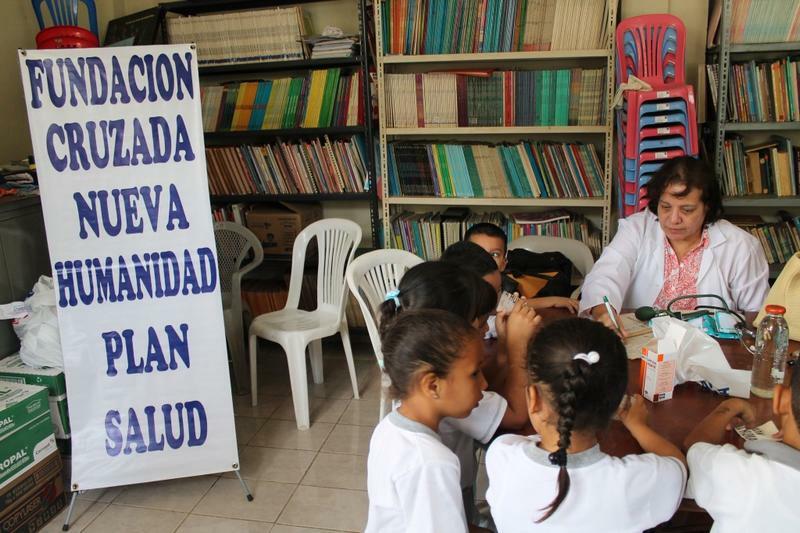 Dr. Virginia Clavijo wrote medical prescriptions for every child she examined. 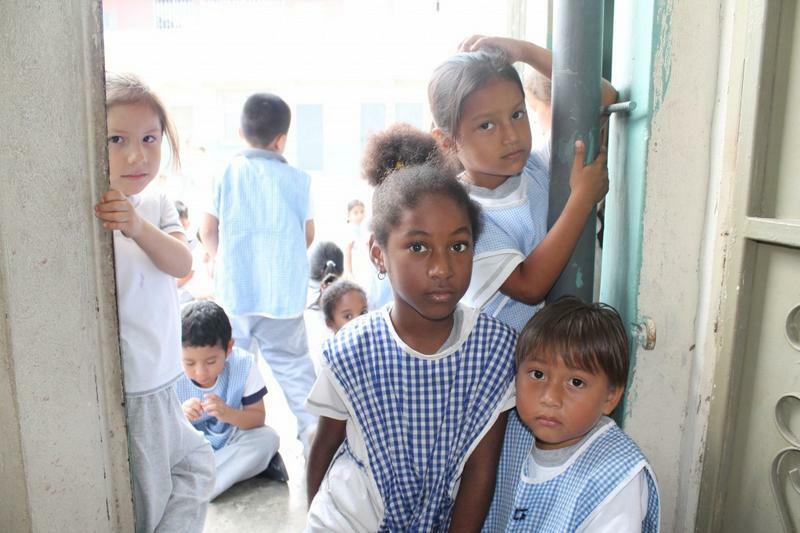 The children waiting for their food at lunch hour. 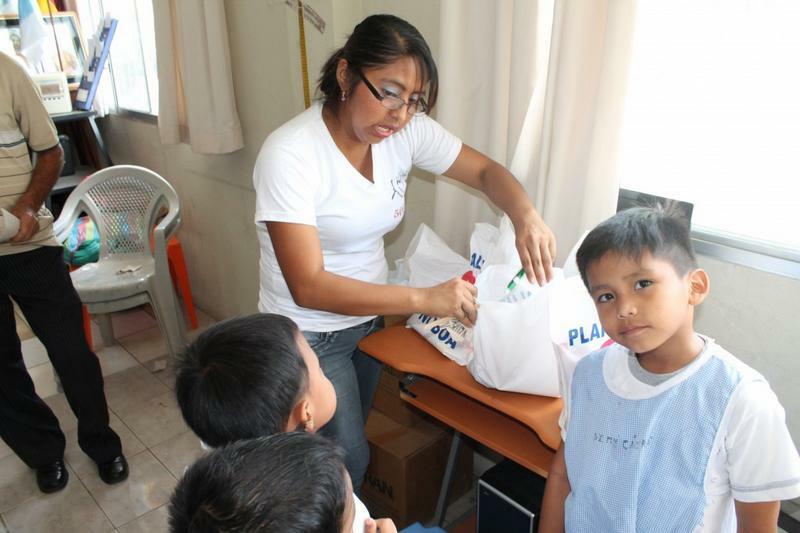 Miss Glenda Lema delivered the free medicines to every one of her students. 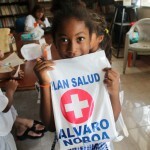 A little girl posing gratefully for the medicines.